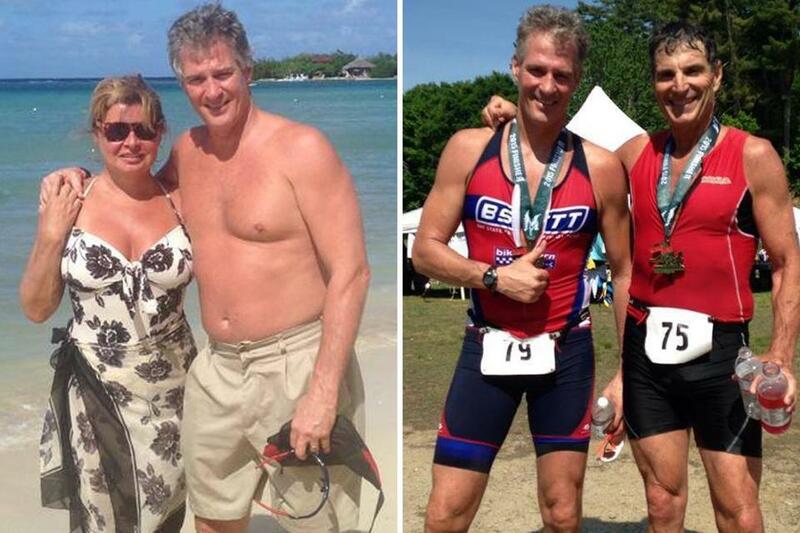 Online photos show Scott Brown before and after his weight-loss program. It was not the sight of their former senator bare-chested that shocked Scott Brown’s Facebook followers. They were used to that. It was the sales pitch accompanying the before-and-after photos of his physique, crediting his recent, dramatic weight loss to a commercial nutrition and fitness plan. Brown’s testament to the merits of AdvoCare’s “24-day challenge” was met with so many guffaws that within two hours, he posted another note, saying he is not a paid spokesman for the supplement company. What he didn’t explain is that he’s a salesman. Scott Brown isn’t the first politician-turned-pitchman, and he won’t be the last. Here are some other famous faces who leveraged their political careers to sell products and services. On Thursday, an AdvoCare spokeswoman confirmed that the former US senator is one of the company’s 580,000 independent distributors. Another reporter, writing for The Daily Beast, tried to contact Brown about his involvement and received a sales pitch in reply; she could save 20 to 40 percent off AdvoCare products if she, too, became a distributor, Brown told her. Loyalists asserted Brown was merely spreading the word about a product that had helped him get in shape — what was wrong with promoting fitness? some asked — while others attacked him for trying to sell “snake oil” and suggested he eat organic instead. When he lost his Senate seat to Elizabeth Warren in 2013, Brown got back on a more traditional path for politicians: He returned to work as a lawyer for a high-powered Boston firm, got paid for speaking engagements, and set his sights on his next political conquest. He even got a gig as a contributor to Fox News, earning him $136,000 between campaigns. But this latest gambit, which follows his move to New Hampshire and his unsuccessful 2014 bid for Senate, is seen by some as unbearably unglamorous, even for a guy who appealed to voters as an Everyman. Many were surprised Brown made such a detour from politics, where he has remained active on the periphery. Brown returned to Fox News as a contributor; last week, he authored a fund-raising e-mail for the New Hampshire Republican Party to benefit Senator Kelly Ayotte. Still, Brown’s options have become limited by the political landscape in his new state, said Dante Scala, associate professor of political science at the University of New Hampshire. Brown last year lost the Senate race to the Democratic incumbent, Jeanne Shaheen. With Ayotte running for reelection to the other seat, he is locked out of Senate contention for years to come. To run for governor or the state Senate, Brown would have to live in New Hampshire for seven years, under the state’s election law, making him ineligible for those offices until at least 2020. In joining AdvoCare, Brown enlisted with a multi-level marketer whose success relies on recruitment of new salespeople. The company has been targeted in several high-profile lawsuits in recent years. In one, AdvoCare was ordered to pay $1.8 million for canceling its distribution deal with a couple who had recruited more than 1,000 people and brought in $50 million in sales. The couple claimed they were cut for being too successful. AdvoCare also settled a suit with Olympic swimmer Jessica Hardy, who blamed her disqualification from the 2008 Olympics on an AdvoCare energy drink that she contended was contaminated by a performance-enhancing drug. Brown, a basketball player in his youth who became an avid bicyclist and competitive triathlete, has long been known as a fitness enthusiast. But in his Facebook post, he said his wife and a friend had been goading him to get him in better shape and that his son-in-law turned him on to AdvoCare. Its “24-Day Challenge” uses an herbal cleanse, probiotics, Omega-3 fatty acids, sugar-free energy drinks, and meal-replacement shakes. Brown said AdvoCare helped him lose 42 pounds and made him “extremely competitive” in triathlons. He even posted his e-mail address, inviting people to contact him. It wasn’t the first time Brown was faulted for promoting an unorthodox medical treatment. Last year, after he rented out his e-mail list, thousands of his followers got messages listing “5 Signs You’ll Get Alzheimer’s Disease” and a doctor’s warnings about flu vaccines and fluoridated water. It also wasn’t the first time the public has seen more of Brown than expected. His youthful work as a model and a naked 1982 photo shoot as Cosmopolitan’s “America’s Sexiest Man” became familiar fodder for critics during his campaigns. Last year, he appeared shirtless on the front page of the New Hampshire Union Leader before a wintry plunge into the ocean for charity. But what made some cringe recently was not Brown’s undated “before” picture, which showed him looking uncharacteristically bloated on a beach in Jamaica, but his seeming transformation from a would-be statesman to salesman. Plenty of politicians before Brown have lent their famous names to commercial advertisements, Scala noted. Bob Dole promoted Viagra. Fred Thompson, the former US senator, presidential candidate, and actor, advertised reverse mortgages for American Advisors Group. Former speaker of the House Thomas P. “Tip” O’Neill appeared in a Miller Lite TV ad and stepped out of a suitcase on spots for Quality Inns hotels.